Carl is “of counsel” to the Pacific Legal Group consulting in the areas of immigration law, small business representation, estate planning, and municipal law. He maintains active membership in the California State Bar. Carl is currently an Associate Professor of Law at the J. Reuben Clark Law School where he chairs the Professional Skills Committee and teaches Civil Rights Litigation, Fundamental Lawyering Skills, Governmental and Legislative Representation, and Community and Economic Development Law. He also served as an Assistant Dean of the J. Reuben Clark Law School where he oversaw the admissions process, worked to recruit the highest quality students for the school, and chaired the Scholarship Committee. Carl attended both the J. Reuben Clark Law School and the Marriott School of Management where he received his Juris Doctorate and Master of Public Administration degrees in 1992. Prior to graduate school, Carl attended Brigham Young University where he studied music and Spanish. Carl is active in the community and serves on the Board of Trustees for Timpanogos Regional Hospital, the Board of Trustees for the Hale Center Theater, the Utah National Parks Council (Boy Scouts of America) Executive Committee, the Zion’s Bank Advisory Board, and the Utah County Hispanic Chamber of Commerce. 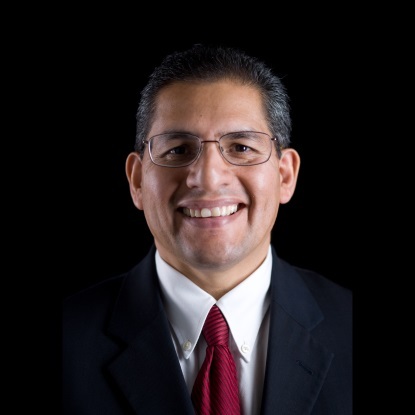 His past service includes membership on the Utah Governor’s Hispanic Advisory Council and service as an elected member of the Orem City Council. Carl is married with six children and is fluent in Spanish. Contact Carl at hernandezc@law.byu.edu, or give him a call at (801) 788-4122.